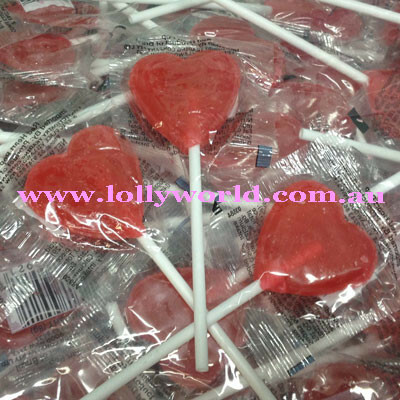 Little Red Heart Lollipops Online at Lollyworld a World of Lollies. Little Red Heart Lollipops come in 10 x 8g or 200 x 8g bags. Each Red Heart Lollipop is approx 3cm wide & 3cm high on a 6cm stick and are individually wrapped.